Label: Bay Area Film Company Inc.
Elise Lebec will be releasing a very ambitious album on July 21, 2017. Origin – One World Turning may very well be one of the most interesting and diverse world-new age recordings you will hear this year. This is a year of evolving world change and we desperately need healing. We all should be getting on the same wavelength as this woman is. Typically, the music I hear for review is piano based instrumental, which is wonderful however it can begin to sound the same after a while. Any genre can. What Elise gave me was breath of fresh air, a recording so different and unique that I felt engaged and energized after listening. The difficulty in arranging and producing a project like this on a scale from 1-10 is without question a 10. Her goal was to merge the male and female energies together with synergistic music that combines an Egyptian Middle Eastern base with a new age conceptual vision. And there a few songs that have a rap tempo, which is very interesting and something I have never heard before. This is in all a different language which makes it more thought provoking and provocative if you only know English. Much of the music I enjoy has a cinematic quality and Origin – One World Turning has that value and substance. This is music that has nothing but potential, potential for a multitude of uses in the world of media and technology used for films and art presentations. 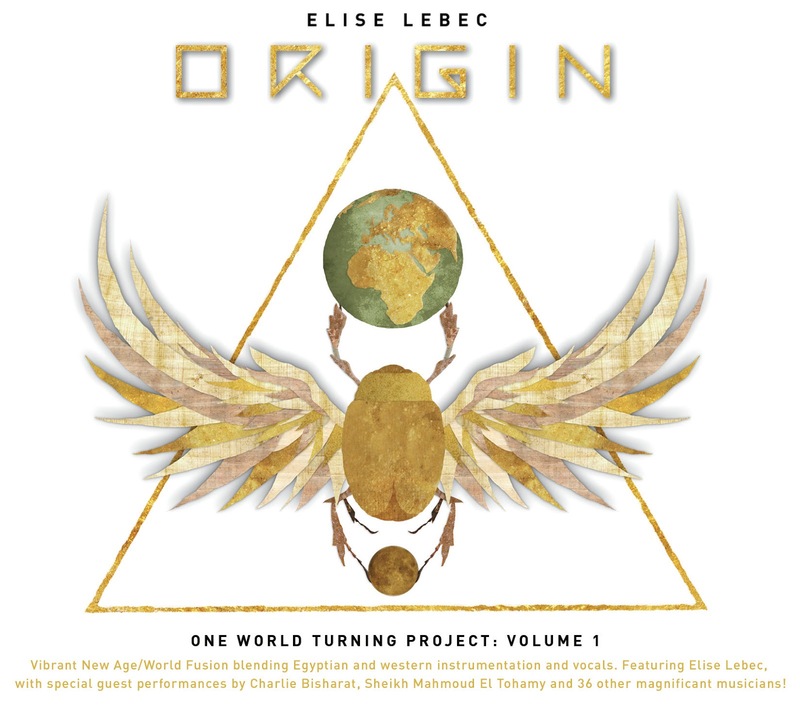 Elise Lebec combines the timeless traditions of an ancient civilization with her beautiful voice, which serves as the main instrument in channeling the Gods and Goddesses of a time long past. She brings them back to life however who is to say they ever left? Origin – One World Turning epitomizes the spirit of indie music and the heart and soul of creative expressions. 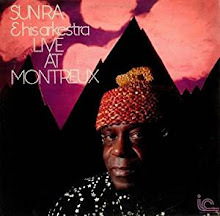 An excellent example of that thought is “Sekhmet: The Goddess Awakens.” It is very ear catching and it has the power of transporting you like any good track should. The exception this time is that it is a literal time machine that gives rise of a Goddess. Like a phoenix she rises from the ashes in a blaze of light. The music brings about these visions, which was surely the intent. 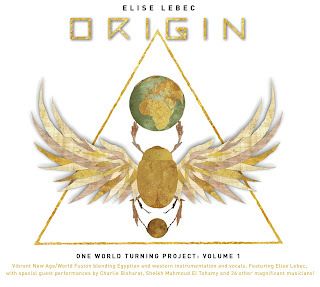 Elise Lebec has accomplished a great many things with Origin – One World Turning and mainly getting my undivided attention and interest from start to finish. Anyone with an open heart and mind will embrace this music as a new journey that just may provide a different outlook on a new day.